What is Liposuction Body Contouring? Is Liposuction an Alternative to Exercise and Weight Loss? Over the past two decades body liposuction (also known as lipo-contouring, lipoplasty and lipo-sculpting or body sculpturing) has become the most common and popular cosmetic operation performed in the United States. Performing liposuction with state of the art technology since 1998, Dr. Zemplenyi achieves lasting re-contouring to shape and refine those parts of your body resistant to weight loss and exercise. In selected individuals the increased precision and skin tightening capability of laser-assisted liposuction with Smartlipo TRIPLEXTM increases the number of people who can benefit from liposuction for further firming and targeted shaping. Liposuction is a technique for removal of fatty deposits through very small skin incisions. Childbirth, the passing of years and genetics all contribute to localized fat accumulations. Liposuction is especially effective in removing and contouring the resulting expanded waistlines, love handles, saddle bags and bra rolls that weight loss and exercise alone do not reshape. For more information, here’s a comparison between liposuction and a standard abdominoplasty. In women, the most common areas for liposuction (lipocontouring, fat removal) are the tummy, saddle bags and thighs. In men, common areas include “love handles”, abdomen, and breasts (gynecomastia) — for reduction of the male breast. Women too can reduce breast volume through liposuction without the long incisions of breast reduction. Ideal candidates for liposuction are healthy people with firm, elastic skin who have localized areas of fatty deposits. 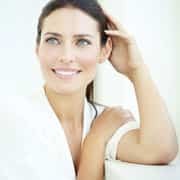 However, somewhat overweight people can also benefit from the contouring and skin tightening improvements liposuction offers. Fat cells extracted by liposuction are removed and do not appear to recur in most patients. However, it is important to maintain a stable weight following the procedure because weight gain will cause remaining fat cells elsewhere to increase in size. Liposuction is definitely not an alternative to weight loss or exercise. During your consultation for liposuction, Dr. Zemplenyi will address your cosmetic concerns and will discuss whether liposuction may be the right solution for you. He feels it is extremely important for you to have realistic goals and expectations and understand the risks of liposuction so that you are empowered to make an informed decision about the custom tailored procedure that best fits your individual needs. Liposuction is best employed as a body contouring technique as opposed to a weight-loss procedure. Performed in our state-licensed and Medicare-certified Bel-Red Ambulatory Surgical Facility, our technique offers the choice of local anesthesia while awake or sedation “twilight sleep” for maximum comfort and safety. Since all levels of anesthesia are available, we are able to tailor the technique to a person’s needs and preferences. Following liposuction patients are encouraged to walk the night of surgery, with most patients able to return to work within two to four days and resume some exercise in about two weeks. In order to promote contouring of the sculpted areas, patients wear a compressive garment continuously during the first one to two weeks and then at night for the subsequent two weeks. Patients are seen for a check-up in about one week. As healing takes place, the skin and surrounding area will remodel and adjust to your new body contour over the next few months. Since remodeling is a gradual process, it can sometimes take up to 6 months for full improvement. If you are considering laser liposuction surgery in Seattle, Bellevue, Redmond, Tacoma, Everett, Olympia or the surrounding area please contact Bel Red Center for Aesthetic Surgery and we’ll provide a consultation to see which liposuction surgery is best for you! From laser liposuction and smart lipo, to non-invasive liposuction, we have decades of experience helping our patients make the right decision. Liposuction is a minimally invasive procedure to remove fat deposits through small incisions. Body contouring through liposuction is effective in reducing and smoothing many body areas: •	Abdomen •	Waistlines, hips •	Saddlebags •	Bra rolls •	Love handles •	Thighs •	Upper arms •	Calves •	Chin, neck, cheeks •	Male chest Liposuction can be combined with abdominoplasty (tummy tuck) to remove excess skin which will not tighten or shrink enough following liposuction. The fat harvested in liposuction can be used for fat transfer, fat transplantation or fat grafting procedures to naturally replenish volume loss in other parts of the body such as cheeks, temples, hands, scars, buttocks, or breast. Who is a good candidate for liposuction/body contouring? •	Adults with firm elastic skin and good muscle tone. •	Adults with areas of fat deposits which are resistant to diet and exercise. •	Non-smokers •	Individuals with stable body weight with Body Mass Index (BMI) under 30 Individuals with rolls of sagging skin or stretch marks may be better served by other body contouring modalities. 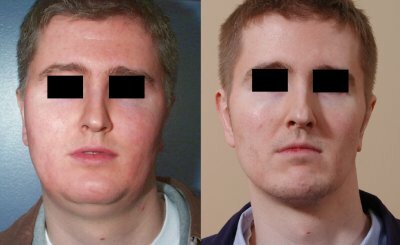 How can I prepare for liposuction/body contouring? What kind of anesthesia is used during liposuction? Because of its minimally invasive nature, liposuction body contouring is usually done under local anesthesia or IV sedation, “twilight sleep,” anesthesia for our Seattle and Bellevue patients. At Bel-Red Center for Aesthetic Surgery in Bellevue, we perform all procedures in our state-of-the-art, Medicare-certified and state-licensed surgical facility. All depth of sedation, from local to general anesthesia are available and we make every effort to accommodate our Bellevue and Seattle patients’ wishes. The local anesthesia used for modern liposuction or lipo-sculpture is tumescent fluid injected into the area to be treated. Tumescent fluid contains the anesthetic lidocaine as well as epinephrine to constrict blood vessels, thus numbing the patient while minimizing bleeding by constricting blood vessels. Patients undergoing small areas of treatment can be awake and comfortable with local tumescent anesthesia alone during their liposuction procedure, while for larger procedures, a combination of tumescent fluid and IV sedation allows safety and comfort. Before liposuction the areas of the body to be contoured are marked. The treatment area(s) are anesthetized with tumescent fluid. Inconspicuously located tiny incisions are made for insertion of micro-cannulas used to disrupt and suction out the fat. In addition to tumescent liposuction and power-assisted liposuction, Dr. Zemplenyi uses the latest Smartlipo™ TriPlex three wavelength laser system to melt fat and gently heat the skin to maximize skin tightening in those with less elastic skin. The skin then retracts around the area of volume loss to leave a smooth, slimmer silhouette. Smartlipo™ TriPlex has been demonstrated in a peer reviewed study to result in three times as much skin tightening as non-laser tumescent liposuction. Judgment and care must be taken to avoid removing too much fat, which can leave an unnatural, “skeletonized” appearance. When performed in a certified surgical center under careful monitoring, with no more than 5 liters of fat removed, liposuction is a very safe procedure with few complications. 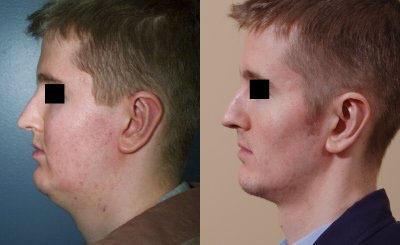 Bruising and swelling following liposuction gradually resolve over a week. 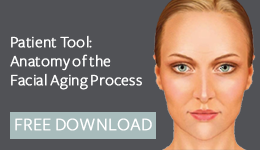 As the body resorbs injected fluid and melted fat, and redrapes the skin envelope over the sculpted areas, your new contour and silhouette will evolve over several months. Most persons can resume regular activity and be back at work within several days. What can I expect after the liposuction/body contouring procedure? Patients usually experience very little down time after the liposuction procedure. They are encouraged to get up and walk the night of the surgery to help prevent deep venous thrombosis (DVT) or blood clots in the legs. Movement also speeds recovery. Most patients can return to work or their normal routines within two to four days. A light workout routine can be resumed in about two weeks. The initial soreness and discomfort is usually no more than that felt after vigorous exercise and, if needed, is easily controlled with oral pain medication in the first few days. After surgery, patients are placed in a compression garment covering the sculpted areas. This compression garment decreases swelling and maintains the new contour. After a week or so an elastic garment (spandex or lycra) should be worn for about two weeks to continue and maintain the reshaping process. The final sculpting results improve over several months. What are the risks associated with liposuction? As with any surgical procedure, there are some risks involved. While rare, these risks include infection, blood clots, excessive fluid loss/accumulation, persistent swelling, uneven contours, scarring or irregular pigmentation, need for revision. The potential risks and your questions will be fully discussed during your pre-operative consultation. How much does liposuction/body contouring cost? The cost of this procedure depends on many things including the number of treatment areas, amount of fat to be removed and sedation method. The desired results and the cost of the procedure that is best for you will be discussed during your consultation.